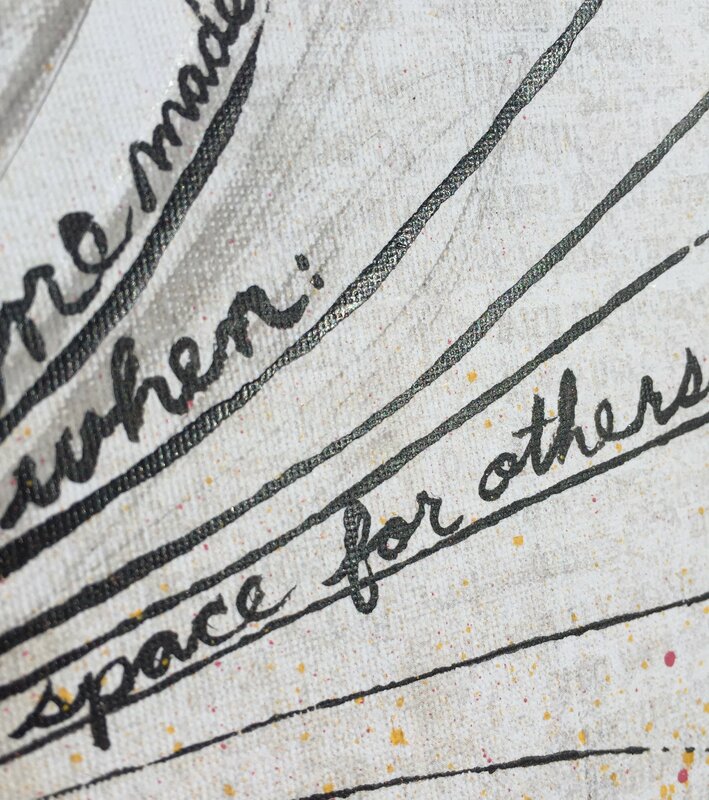 Handwritten words about creating space for ourselves and for others. Who made space for you? Who do you make space for? Sometimes opportunities come at just the right moment–the right job, the right transition, the perfect career pivot. Other times, we have to create the space for ourselves. We may encounter doors closed due to various intersecting inequities and need to, as Chisholm stated, bring our own chairs. This brave act can have a ripple effect, opening doors for others or inspiring them to pull up their own folding chair to the table they were not initially invited to join. Or set up an entirely new table elsewhere and build something from the ground up. Looking back over the course of a lifetime, there are many teachers, mentors, and leaders we interact with. Who were the important catalysts for you? Who encouraged you to shake off the “weight of centuries of tradition” (Chisholm, 2010, p. 178) as you claimed new space in your professional role? The Making Space Prompt is a great way to reflect on the ways leaders, mentors, and activists have helped create the seats we sit in today. In honor of Black History Month, we celebrate the powerful words and actions of Shirley Chisholm. We hope her words inspire you to take some time to think about (and thank) the people who created space for you and to consider the ways you can make space for others. Chisholm, S. (2010). Unbought and unbossed. (40th Anniversary Edition). Washington, DC: Take Root Media.